Every year, Martin Luther Kings legacy is honored by celebrations and volunteer community work. He truly touched the souls of many and inspired all. According to this recent article in the AJC.com, here are some places in DeKalb County to celebrate and volunteer to honor this great man. King Day honors kick off Friday, Jan. 18 in DeKalb, when the county hosts its 35th MLK Celebration. “King’s Vision: Humanity Tied in a Single Garment of Destiny” will be held at 11:30 a.m. at the Maloof Auditorium, 1300 Commerce Drive in Decatur. Now in its fourth year, Brookhaven will hosts its MLK Day Dinner and Program at Lynwood Park. The park is home to the historic Lynwood Community Center which was once the site of the segregated Lynwood schools. For three days, volunteers can restore the homes of Decatur seniors. Since 2003, the Decatur Martin Luther King Jr. Service Project has provided free home maintenance and yard work. In 2017, the project helped 33 senior households with 1,200 volunteers. Find more events and volunteer opportunities. While you are in the DeKalb county area, check out the newest Rocklyn Home Communities located in Lithonia and Decatur. Belmont Hills, Located just off Covington Highway minutes from I-20 and I-285. Three bedroom, 2.5 Bath plans with brick, stacked stone and cedar shake accents on the exteriors make the homes timeless. The interior of these Rocklyn Home plans offer exceptional value with arched entry ways, interior barrel arches, 3” hardwoods on the main, gas fireplaces, high top breakfast bar or island*, granite countertops with tile backsplash. Other features include private rear patio* and a full security system. [*per plan] Priced at the Mid $100’s. 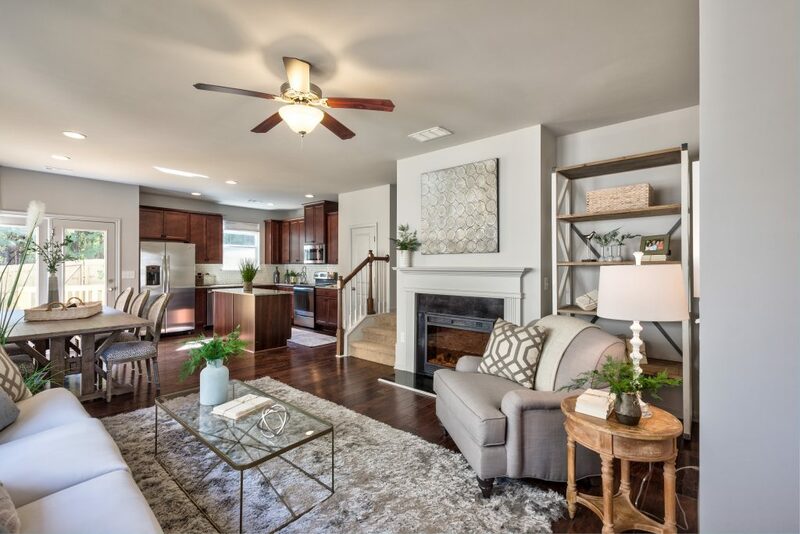 Longview in Decatur offers sensational new townhome plans with outstanding features like 3 bedrooms and 2 and 1/2 baths with one car garages, 42” kitchen cabinets, trey ceilings in the master bedrooms, tiled master baths, and much more [per plan]. The exteriors are timeless stacked stone and cedar shake accents and have a private rear patio. Longview is conveniently located minutes from I-285 just off I-20 and Wesley Chapel Road and Panola Road. Minutes to Downtown Decatur, shopping, dining, entertainment, Stone Mountain Park and Stonecrest Mall. Priced at the Mid $100’s. Award Winning Rocklyn Homes is one of Atlanta’s Top Homebuilders in the Atlanta Business Chronicle. Ranked Nationally at #87 in the 2017 Builder 100 List by Builder Magazine. Rocklyn builds quality single-family homes and townhomes with award-winning plans in the Metro Atlanta area from the mid $100’s to $400’s. 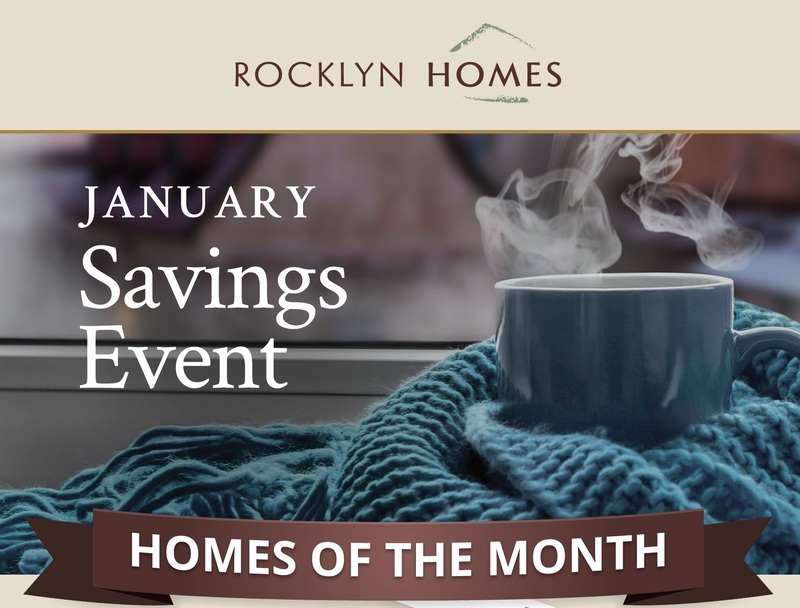 January Savings Event Homes of the Month – ACT Fast!